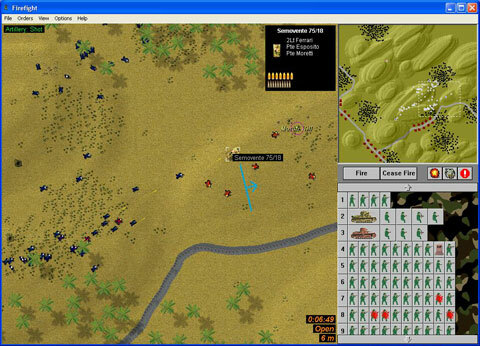 The player takes control of up to sixteen squads of tanks, anti-tank guns or various infantry formations. These squads can be manouvered around the large battlefield and ordered to fire on enemy positions. 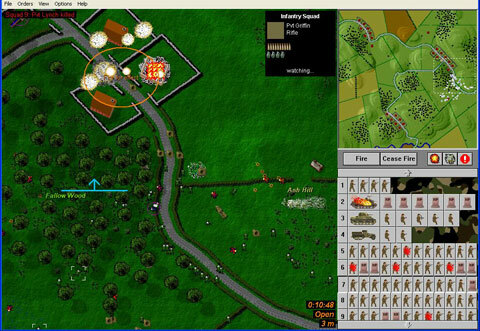 In addition the player can call down artillery strikes of high explosive or smoke shells. Tadashi Ishihara 10 10 10 Very addictive game! 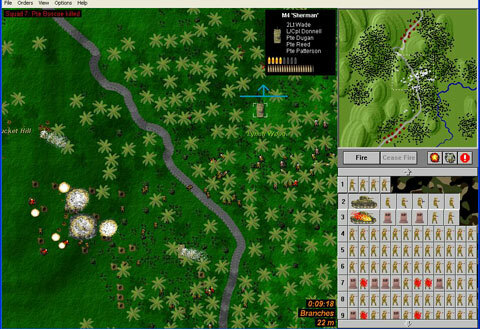 ROBIN QUARTERMAN 10 10 10 Nice game - liked the way enemy forces stay unseen until they are right on top of you - so you really have to give good covering fire to advancing troops. Lots of varied scenarios so never boring, cool graphics. 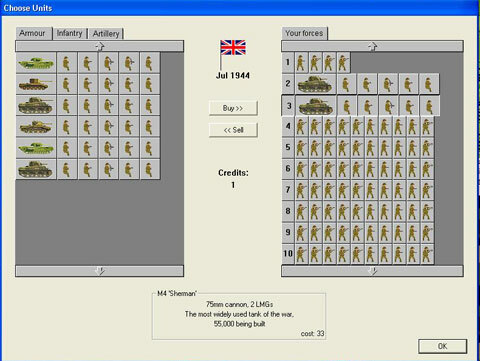 garry hinchliffe 10 9 9 Very good game, great hidden movement, ONLY problem I,ve had is that you can,t read the instructions or game rules on a windows vista pc.